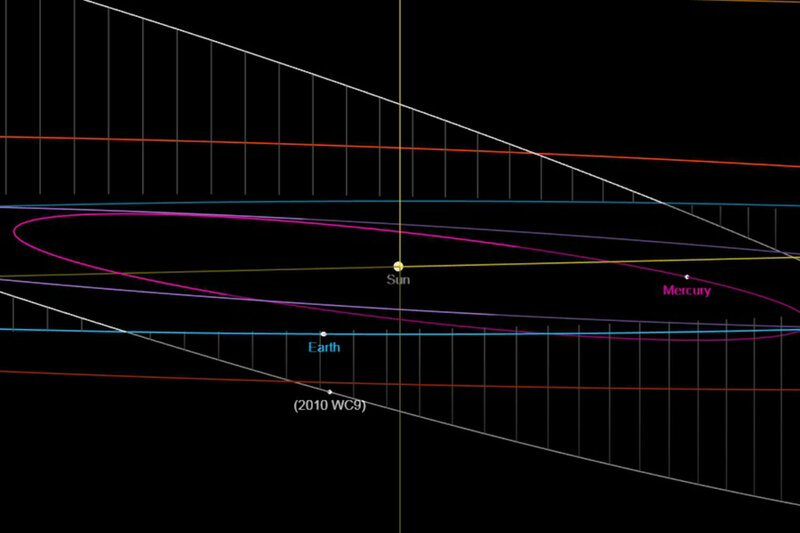 Get your telescopes ready, people: asteroid 2010 WC9 will be flying by Earth at the terrifying speed of 28,655 mph this Tuesday at 6:05 p.m. EDT. The asteroid, which was first discovered in 2010 by the Catalina Sky Survey in Arizona, will be passing within 126,419 miles of Earth, or roughly half the distance from the Earth to the moon. 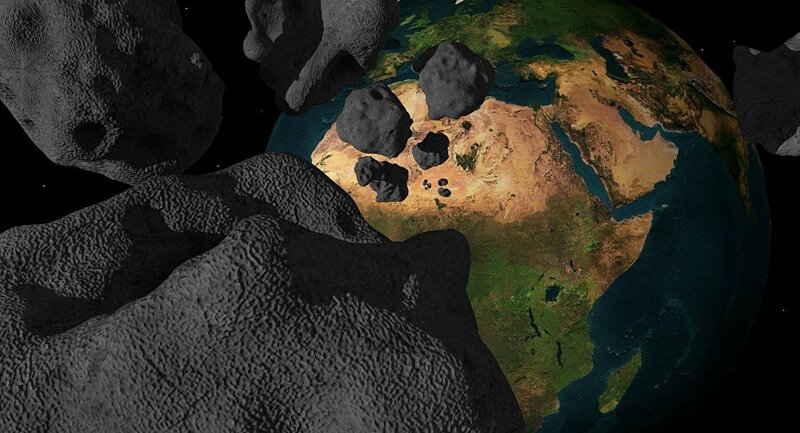 According to Earth Sky, this will be one of the closest flybys ever made by an asteroid this size, which is estimated to be anywhere from 197 to 427 feet wide. After its initial discovery in 2010, researchers lost track of the asteroid for some eight years before rediscovering it on May 8. Since finding the so-called "lost asteroid," officials have kept a watchful eye on the space traveler. ​"Asteroids this size approach about this close about once every decade or so, on average," Paul Chodas, manager of the Center for Near Earth Object Studies at NASA's Jet Propulsion Laboratory, told CBC. "So it's a fairly rare event, a special opportunity, a chance to observe it scientifically." "We knew that it would likely come close in May of 2018. We didn't know how close, but we had ruled out any chance that it would hit the Earth," the manager added. Asteroid 2010 WC9 to make rare Earth flyby on Tuesday, May 15, 2018. For those interested in seeing the asteroid zoom past, Earth Sky says it will "get as bright as magnitude +11," making it visible enough for amateur stargazers to catch it through their telescopes or powerful binoculars.